After Cary Fukunaga stepped down from the project after four years citing creative differences, it was a worrying sign. He was set to bring a slow-burn, character-oriented darkness to the film: “I was trying to make an unconventional horror film. It didn’t fit into the algorithm of what they knew they could spend and make money back on based on not offending their standard genre audience… I was trying to do was an elevated horror film with actual characters. They didn’t want any characters. They wanted archetypes and scares.” The leaked script showed that while liberties would have been taken with the novel, the resulting film would have been more adult and grappled with more of the uncomfortable themes in the source material such as Beverley’s sexual abuse at the hands of her father and racial repression. He’s not been one to shirk tough subject matter, True Detective is drenched in nihilism and this would have had a similar vibe. To do King’s work justice it needs a dimension of darkness and willingness to push into unchartered territories of violence. The decision to appoint Mama’s Andres and Barbara Muschietti bought with it a re-cast Pennywise in the form of Bill Skarsgard. With IT breaking the $500M mark and surpassing The Exorcist in becoming the highest grossing horror film of all time, the decision to shift creative direction has proven to be a commercial masterstroke. But does part 1 live up to the hype? It is a rampant force that floats out of the sewers and into the light. There’s real heart underpinning this story of young friends confronted by an unspeakable and ancient evil. An evil that transcends time and space, that awakens to feed every 27 years. 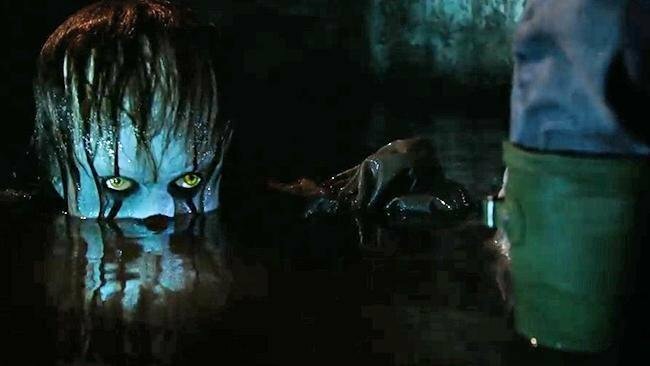 Muschietti’s adaptation is drenched in dread and contains striking moments of horror while being able to drop comic nuggets in all the right places. This is a crowd-pleasing romp that doesn’t disappoint. 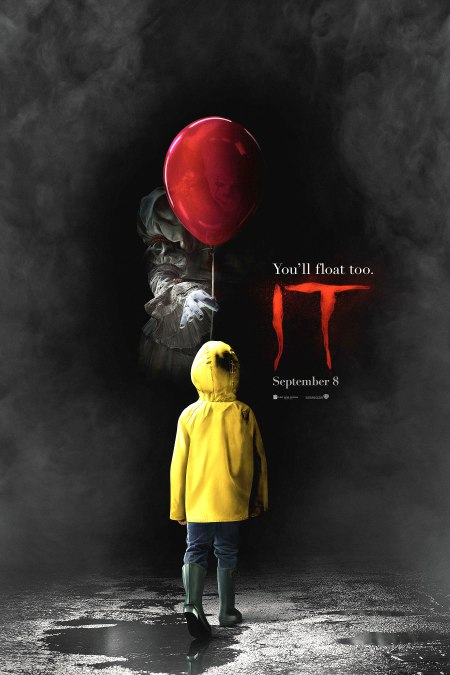 The monster is the figurehead; Skarsgard’s Pennywise is ferocious, edgy and his performance carries an heir of unpredictability compared to Tim Curry’s more ‘human’ version in the miniseries. There’s little humanity to reason with here nor is there any inkling that the clown can be defeated. The evil exudes from every detailed characterisation. The costume is influenced by myriad different eras from the Elizabethan through to the modern era. It’s clear that this is a monster that has lived through the ages and is not of this time. The make-up effects and Skarsgard’s mannerisms carry of Heath Ledger’s Joker in The Dark Knight and the taught facial expressions of Conrad Veidt’s portrayal of Gwynplaine in The Man Who Laughs (1928). From the moment we see IT in the brilliantly executed encounter with Georgie; the menace oozes from the screen. The house at Neibolt street makes for a creepy lair and possesses some of that atmospheric dread so fervently described in the novel and virtually omitted from the miniseries. 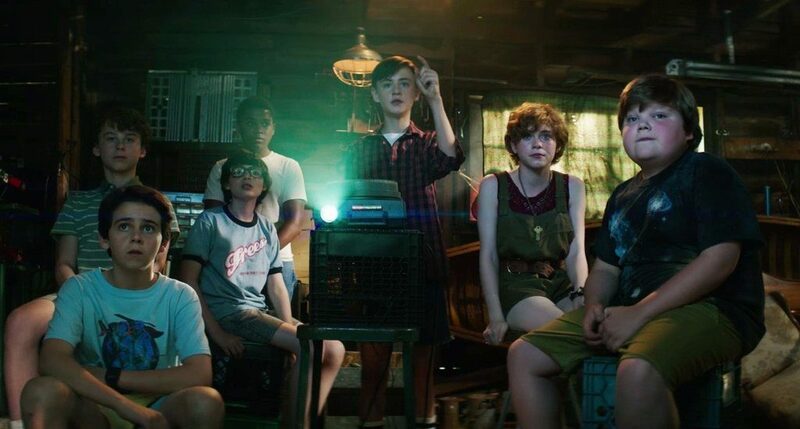 The house is the setting for startling and genuinely mind-bending imagery as the Losers Club come face to face with their nemesis.The standout set piece, however, is the stomach-turning projector sequence where Pennywise interrupts the viewing of a film in the basement. It’s a ghostly apparition that turns to look at them dead in the eye thus continuing the theme of the evil’s omnipotence and permeable nature. Perhaps the major weakness in the film is the inability for the final sewer climax to match the heights of what precedes it. It feels a tad rushed and underwhelming in context of the scale of the novel and even the rest of the narrative. Furthermore, the use of Beverley as the damsel in distress is unnecessary and serves to effeminate her even further. It’s this misplaced characterisation which is a recurring theme particularly in the case of Mike Hanlon. Mike’s character is underwritten as his role fades into the background. While in the novel and even in part in the old series, Mike plays the fundamental role in uncovering the crimson legacy of Pennywise as the Derry Historian and researcher; here, these responsibilities are strangely given to Ben. The only black character in the group is therefore confined to being the case of racial repression and victim of the bully Henry Bowers. With plans to make Mike go off the rails even further in the second, there’s clearly something at play here which doesn’t sit right. Although Mike is misplaced, the bond between the club comes across as genuine. Bill’s transformational journey from timid schoolboy to thhe group’s leader is striking. The thought that his younger brother may still be alive drives him to bravery, his transformational journey from timid and broken boy to the leader of the group is striking. Stranger Things Finn Wolfhard is at his charismatic best in the role as Richie Tozier. The nods to the novel in the form of the subtle turtle remark and the deadlights are nicely positioned. Muschietti understandably avoids delving into the mythos of IT. The netherverse and the infinite nature of the evil isn’t explored. It’s perhaps the only way to ensure this remains a mainstream offering. Updating the timing of the film to the 80s allows for nostalgia to reign and the greater challenge will be in part 2 which is to be set in modern times. Can it retain the charm of this original while doing King’s work justice? Judging by this showing, it could well be on to another winner come 2019.